​Hideaway Land Surveying provides Land Surveying services in the City of ​Hideaway in the Smith County, Texas area. If you’d rather talk to someone about your land surveying needs, please call (903) 525-6405 today. For more information, please continue to read. Land Surveyors are professionals who read and interpret property records and make precise measurements to determine the size and boundaries of a piece of real estate. While this is a simplistic definition, this is one of the most common types of land surveying related to home and land owners, a land survey or property survey. I’m buying or developing a commercial parcel of land and my bank is asking for an ALTA Survey. If your needs don’t fall into one of the above, don’t worry, we’ll help you figure out which type of land survey fits your situation. CALL ​Hideaway Land Surveying TODAY at (903) 525-6405 to discuss your survey needs with local land surveyors. You can also go to our contact page to send us a message. 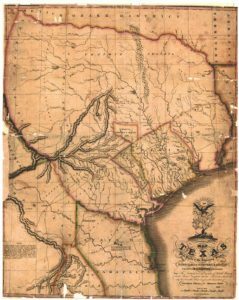 Surveying was first practiced in Texas to define the boundaries of Spanish land grants. Methods varied greatly; distances were occasionally given in such units of measurement as “a cigarette’s length” or “half a day’s walk,” and compass bearings were often inaccurate. Other surveys, slightly more accurate, made use of measurements in varas, cordels, and leagues. Surveyors were required by Spanish and Mexican law to point out to grantees each and every corner of the grant and to tell him “in a loud voice” that he was invested with the property pointed out. The grantee indicated his acknowledgement of the grant by throwing rocks, shouting aloud, firing guns, and making other and sundry noises. With the beginning of Anglo-American colonization, Stephen F. Austin was careful not to issue titles to colonists until a survey had been made. 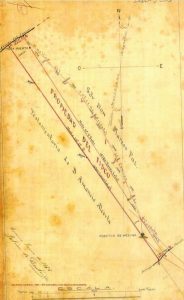 His instructions from the Mexican government as to surveying were printed and issued by Juan Antonio Padilla, the land commissioner; Austin’s contracts with such surveyors as Horatio Chriesman, Seth Ingram, William Kincheloe, and Elias R. Wightman required that they use the Mexican vara as a standard unit, use the true meridian after calculating compass variation, establish corners with bearing trees at each principal corner marked with the owner’s initials or with mounds of earth at least three feet high, mark every line not bounded by a river or creek so that it could be easily traced and followed, make correct notes and plots for each survey, and execute all work accurately. Austin warned surveyors to avoid leaving vacancies between tracts. The surveyor’s fee was to be five dollars per Spanish mile, payable in property, or three dollars per mile, payable in cash. The early surveyors used a linked chain twenty varas long or a Gunter’s chain corrected to the vara standard. They had a tendency, when land was cheap and unoccupied, to add twenty to 100 varas to each mile of line to make certain that no one was cheated; hence, a supposed section of land has often been found to contain from one to 100 acres of excess. A Jacob staff with a box compass and peep sights was used for running lines. Surveyors could not agree on the declination; some thought it should be east, others thought it should be west; others used no declination at all but simply ran a magnetic course. No compensation was made for calendar variations of magnetic north, and no correction was made for the curvature of the earth. Despite these handicaps, the work of the first surveyors was surprisingly accurate; later surveyors in the land boom days, although better equipped, were frequently less accurate. Their inaccuracies, which gave rise to land vacancy and land excess, resulted from crude equipment, incorrect methods, lack of training, and carelessness. Demands for speed often meant that surveys were not closed on the ground and that careless errors in chaining and bearings were made. In the location of railroad grants, field notes to hundreds of sections were made and filed by surveyors who were never on the land they described. One device used to speed up surveying in the prairie country was to tie a rag to a buggy wheel, drive over the lines following a magnetic compass, and count the revolutions of the buggy wheel to obtain the distance. Discrepancies and mistakes from inaccurate surveys have caused numerous and expensive lawsuits. 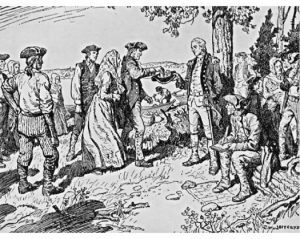 Because of these inaccuracies, the Texas legislature has made several reforms, particularly the Statute of Limitations, to protect settlers who located on land sometimes considerably distant from that described in their patents, and House Bill No. 9 of the Forty-sixth Legislature, June 19, 1939, to protect owners of excess land from unscrupulous land grabbers. A typical surveying party of the last quarter of the nineteenth century consisted of a chief of party, a transitman, two chainmen, one or two flagmen, a corner builder, and a cook. Iron rods and cane poles served for flagpoles; transit stations varied between a half mile and two miles; colored oil cloth, paper, and mirrors were used for signaling. A light buggy was provided for the transitman, and the corner builder used a light wagon. A fifty-vara tape was commonly employed, although old link chains, usually not longer that twenty varas, were also used. Texas surveys were not laid out by means of a regularly established system; tangible control points of well defined base lines were never used. Description in metes and bounds has been used from the beginning, and a grid reference system has gradually been adopted. In the twentieth century surveyors in Texas used increasingly advanced technology to survey subdivisions, highways, railroads, pipelines, and wells. Land Surveyors are also often needed to help settle compensation cases. The Texas Surveyors Association was established in the 1940s. Handbook of Texas Online, “Surveying,” accessed August 11, 2016, http://www.tshaonline.org/handbook/online/articles/sxs01.